Lets connect on Google+ and Pinterest. We appreciate you following Halestorm Fitness Personal Training. Thank you for your support and being apart of Halestorm Fitness, we look forward to being apart of your fitness journey. You may know exercise is good for the heart, but did you know that lack of exercise is one of the risk factors for developing heart disease? Several years ago, the American Heart Association added inactivity to its list of risk factors, which also includes family history, high blood pressure, high cholesterol, diabetes and obesity. In honor of American Heart Month, try to include at least 30 minutes of moderate physical activity, such as walking or gardening, on most days of the week. If you can’t fit in a single session, split up your activity into three 10-minute blocks spread throughout your day. And, of course, check with your doctor before starting a new exercise program. 1. Cardiovascular exercise improves blood circulation, which may help reduce the risk of developing clots or blockages in the arteries. 2. Like the muscles of the body, the heart is a muscle, and regular exercise helps keep it toned and strong. As the heart becomes stronger, the heart rate lowers because fewer beats are required to pump the same amount of blood. 3. Exercise can help reduce or prevent high blood pressure in some people. 4. Research shows that exercise can raise HDL levels, the so-called “good” cholesterol, which has been linked to a lower risk of heart disease. 5. Exercise reduces the risk of developing diabetes, which is a risk factor for heart disease. 6. People who exercise are less likely to smoke. Several studies have confirmed that if you’re a smoker and find it difficult to quit, exercise can still be beneficial. In fact, smokers who are fit may have a lower risk of heart disease than nonsmokers who are sedentary. 7. People who exercise tend to have healthier diets. Being active often compels people to make other positive lifestyle changes, such as eating less fat and more fiber. 8. 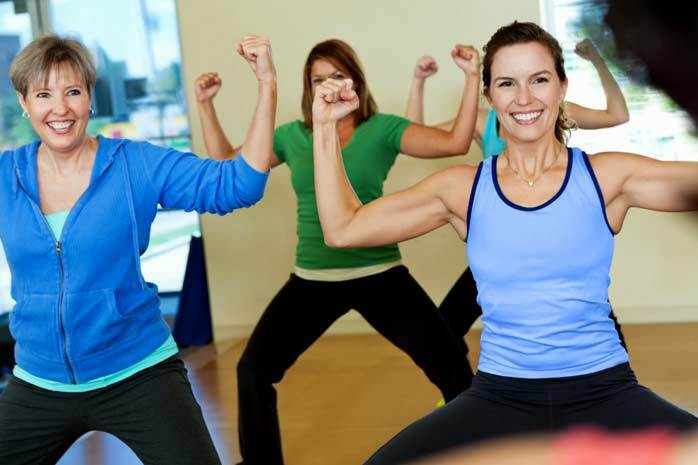 Along with a healthy diet, exercise can aid in weight control. Being overweight or obese has been linked to numerous diseases, including diabetes, and regularly burning calories makes it easier to maintain a healthy weight. 9. Exercise has been proven to help manage stress, which can take its toll on the whole body, but especially the heart. People who exercise tend to be less depressed and posses a more positive outlook. 10. Exercise strengthens muscles and improves mobility, which makes it easier to perform activities of daily living. The easier these activities are, the more active one is likely to be overall. Did you know that heart disease kills more women than all forms of cancer combined? To help raise awareness about this silent killer of women, join us in National Wear Red Day on February 7th. For more information about the movement and how you can join in the cause, visit www.goredforwomen.org/wearredday. I never let my bananas go bad I turn my almost spoiled bananas into a tasty treat. This is also a healthy snack your kids will enjoy. One medium banana has 422mg Potassium, 3.1 g Dietary fiber and 1.3 g of Protein. 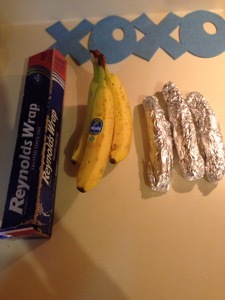 To make them peel the bananas, wrap in tin foil and place in the freezer. For an additional pop of flavor sprinkle cinnamon, nutmeg, allspice, ginger and cloves over banana before wrapping in tin foil. Enjoy your banana pop like a Popsicle on a hot day straight out of the freezer. I hope you like my cheap resourceful banana pop idea! Charlotte Personal Trainer Julie is HALESTORM FITNESS! I love living in the Charlotte area. The mild weather allows for physical training outside most of the year. While training always plan your snacks well. On hot days after working out and wanting an ice cream style treat that supports my workout I turn to my banana pop. They are packed with energy and loaded with potassium , I love how creamy and delicious they are. Quick Healthy Snack of the Day! 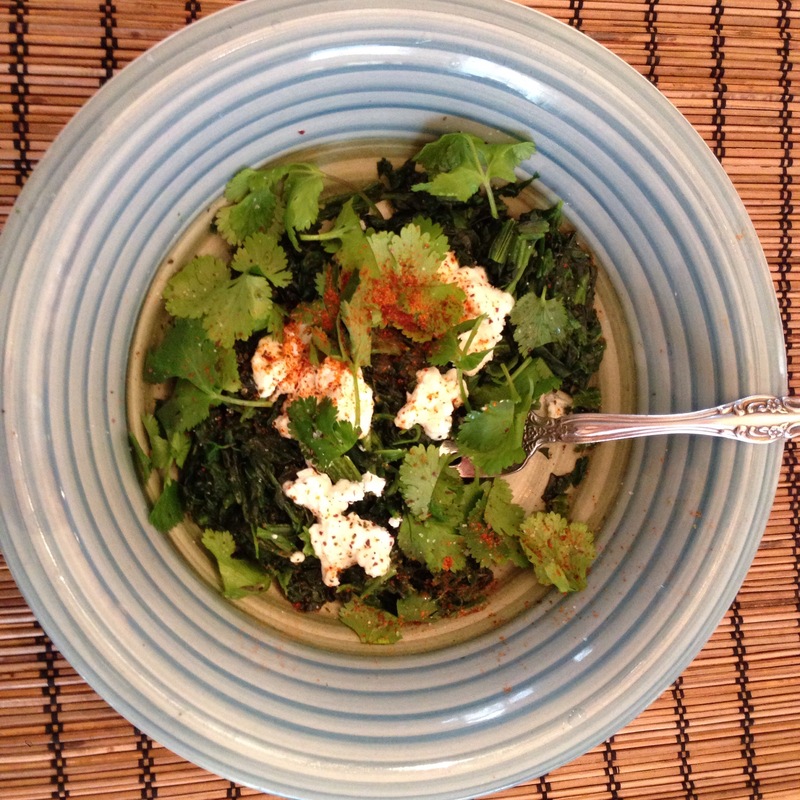 Frozen spinach with goat cheese garnished with basil seasoned with cayenne pepper and a dash of salt. Mix and enjoy! Spinach provides vitamin A, C, calcium and iron essential vitamins our body needs to stay healthy.